The workforce development strategies to make your staff stand out! A near impossible challenge it would be to find a business owner or manager who is totally confident in their workforce development strategy. Why? Well, because the most common approach to employee development is reactive, is forceful, and is inadequate. But this approach makes about as much sense as eating a double chocolate cake in spinning class. Because employee development is actually one of the most important things you can ever do for your workforce! Why is workforce development important? We’ll let the numbers speak louder than our words. As many as 71% of Millennials expect to leave their jobs in the next two years because they’re unhappy with how their leadership skills are being developed. 59% of Millennials, 44% of Gen Xers and 41% of baby boomers say opportunities to learn and grow are extremely important to them when applying for a job. And 87% of Millennials rate “professional or career growth and development opportunities” as important to them in a job (69% of non-Millennials agree). Wow! This is all super interesting. But you’re still wondering, “What is workforce development, exactly?” So let’s take a moment to pause, rewind, and make sure that we’re all travelling on the same bus. When we talk about workforce development strategy, we’re talking about making positive people changes. Changes to culture, changes to attitudes, and changes to people’s potential to influence your business success in the future. And this is all way bigger than just a training strategy! What is the difference between job training and workforce development? Well, training is usually specific to a job, skill or behavior that needs to be learnt now, today, pronto. It’s focused on the individual’s short-term goals, and it’s normally not an “opt-in” kind of activity. Workforce development strategy, on the other hand, is a more fluid, continuous and long-term kind of learning. The role of development is much broader, and applies more generally to the whole workforce. The intention is to create a culture of learning and constructive attitudes, to build workforce potential, and to equip employees with the tangible and intangible abilities to deal with any challenges the future may hold. Sure, training is often an important component of workforce development programs. But it’s not development on its own. And the best part about models of workforce development is that they’re often individualized and self-selected in a way that training can’t be. Employees can choose to engage in development activities anytime, anywhere, and through any medium. Now, a workforce development strategy is good for so many reasons. There’s a bunch of reasons why companies should invest in getting it right. It’s great for employers, because it keeps employees challenged and engaged in their work. And if they’re challenged and engaged, then they’re also more likely to be productive and to stick around for longer. Of course, this means that employers benefit from a positive return on investment in their employees, and are saved the cost of high staff turnover. Employees benefit because they’re able to achieve their personal and career goals, which usually makes them happier (as employees, and as people). Continuous development also means that employees feel empowered with the understanding and competencies necessary to deal with change and challenges in their work. This makes them more resilient and less anxious, and also equips the business with a more agile workforce. So really, what we’re saying is that workforce development strategy combines the personal and growth goals of the employee, with the strategic business objectives of the employer, in a perfectly win-win situation! There are many routes to the same destination. But some are quicker, more scenic, and less bumpy than others. We’d like to share some of the best strategies for creating successful workforce development programs. Tradition – the handing down of information, beliefs, or customs from one generation to another. Classroom training may be the traditional approach, and it may have been effective some generations ago. But things change! Today, development shouldn’t be restricted to formal instruction and classroom delivery. It should be ingrained into employees’ workflows, presenting opportunities to learn and grow across a number of touchpoints and mediums. One of the most effective ways to make development a part of every employee’s “everyday” is through online and digital platforms. 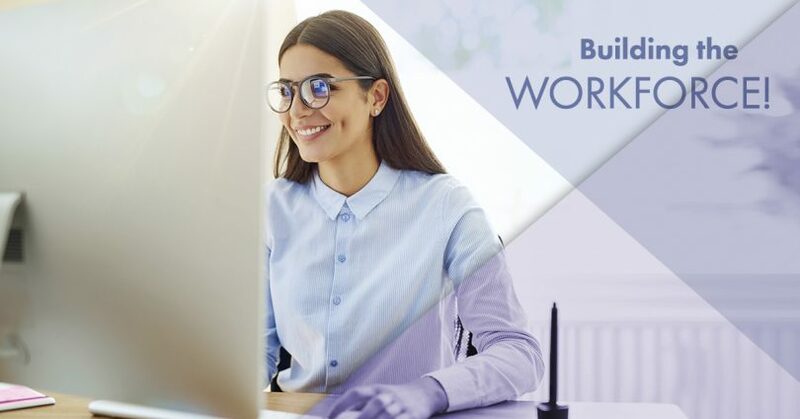 Using tools like a Learning Management System (LMS), you can present your workforce with the opportunity to learn on the job, at their convenience, and with little to no obstacles. Discussion forums, self-paced eLearning courses, resource banks, videos and webinars are just a few of the engaging learning components that can help develop employees continuously, and on the fly. 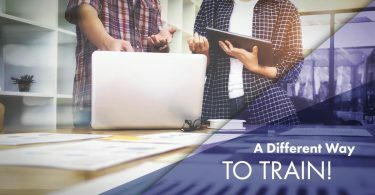 Now, while you might be fully onboard with more modern vehicles for training and development, employees might still be stuck in the gluey terminology of training, training providers, and instructors. This means that opportunities for on the job learning, self-directed learning, and peer learning, might be passed up. This is because the “training label” prevents employees from recognizing these opportunities unless they’re formal, in a classroom, and led by an instructor. So start with the leadership, and make sure that the entire workforce understands that their development relies on learning, not just training. And that this learning can present itself in many different shapes and sizes. Like learning from a mentor, completing an online training program, brainstorming with colleagues, or simply trying out something new and learning from mistakes. Developing your workforce can take time, energy, and financial investment. So while there will be benefits for employees, it’s also important to focus on developing those skills, attitudes, knowledge and behaviors that will impact business outcomes. Frequent and open communication with employees will reveal those personal and career development goals that align with the business’ strategic goals. Finding the commonalities means finding a mutual goal, and a supportive relationship between employer and employee for achieving it. And don’t forget to ask for real-time feedback from your workforce. There’s no one better to tell you if your development strategy is working, and how you could improve it. The final, and arguably most important workforce development strategy is to put the learner at the center of development. Let them choose what to learn, where to learn, and how to learn it. 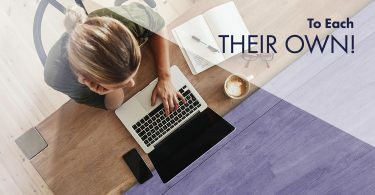 By incorporating eLearning tools, informal learning approaches, and microlearning, employees should be able to drive their own learning in a way that’s tailored to their development needs and goals. This way, employees spend time only on those development areas that are most relevant to their roles, and that they haven’t yet nailed. This, of course, is an undeniably better approach than a mandatory, mass application training workshop that forces employees to waste time learning a skill that they already have, or don’t need. To encourage employees to drive their own development, make sure to incorporate bite-sized chunks of learning, and that are easily accessible, into their daily work. This way, you’re giving them all the resources they’ll need to engage in development activities, at a pace that suits them. Abraham Lincoln once said, “I am a slow walker, but I never walk backwards”. Keep your business and employees moving forward with a successful workforce development strategy. Change is the only constant, so change we must. Get in touch if you’d like to incorporate an LMS for developing positive change in your workforce.